Here is the recipe for a quick Semi-Homemade Perfect Cherry Pie. I used to make my own pie dough, but it took to long. 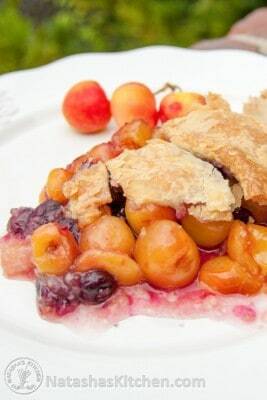 Its easier, faster, cheaper and just as good to use Marrie Callendars pie crusts to make this perfect cherry pie. Don’t try the cheaper Phillsbury pie crusts; they are too thin and the finished product won’t have the home-made look. I got a set of 2 pie crusts at Wal-Mart for $3.17 ish. 2. 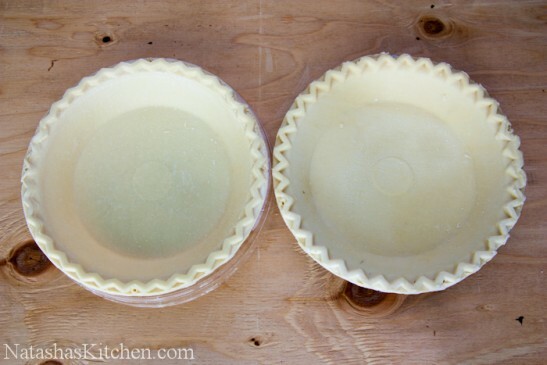 Following the instructions on the Marrie Callendars pie crust packaging, thaw the pie crusts for 15 -20 min. Remove one from the foil plate before starting to thaw or it will break if you try later. 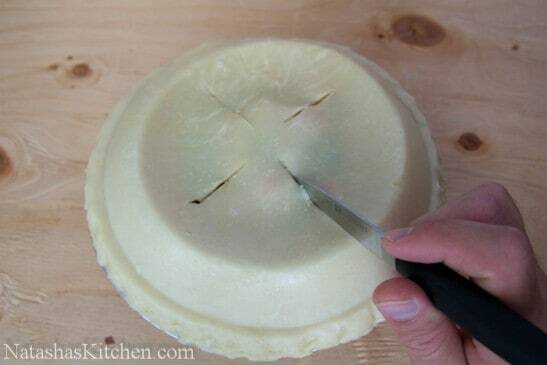 Don’t panic if your crust does crack, just seal it with your fingers later or use a little water to seal. 4. 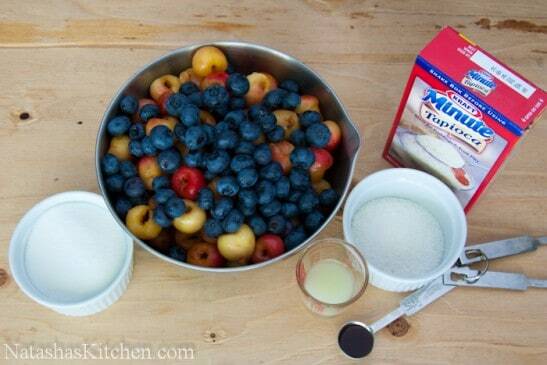 Combine tapioca, sugar, lemon juice, vanilla, water and cherries. Let stand for 15 minutes. 6. 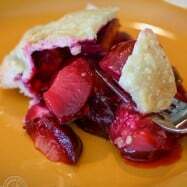 Bake Cherry pie for 30 minutes at 425°F. 7. 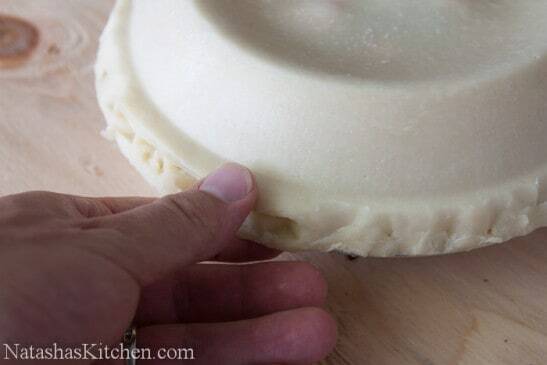 Place a cookie sheet under the pie, REDUCE HEAT to 350°F. 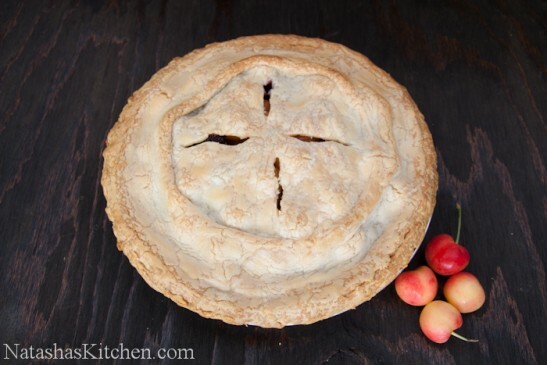 Bake 25-35 minutes, or until thick juices bubble out of the pie. 8. Let cool for at least half an hour and serve. 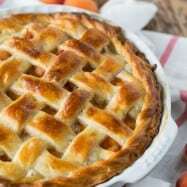 Notes: Pie can be stored at room temperature up to 1 day. 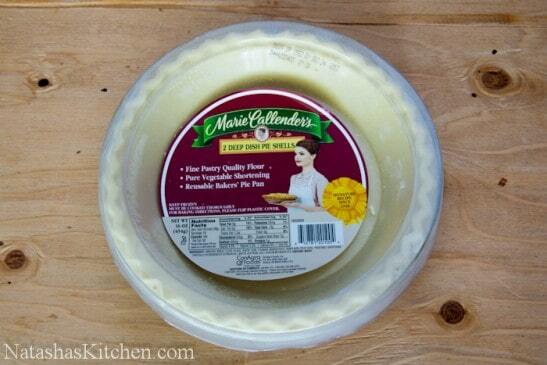 Following the instructions on the Marrie Callendars pie crust packaging, thaw the pie crusts for 15 -20 min. Remove one from the foil plate before starting to thaw or it will break if you try later. Pit 5 cups of fresh cherries. 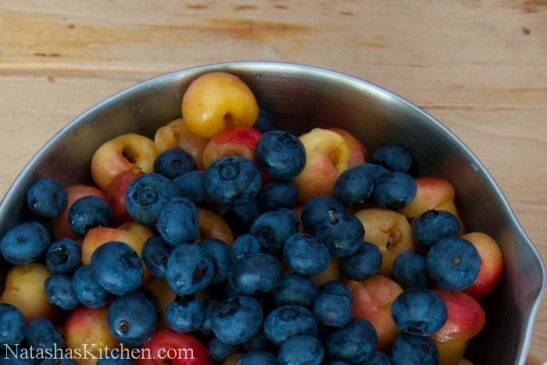 I added some blueberries as well. 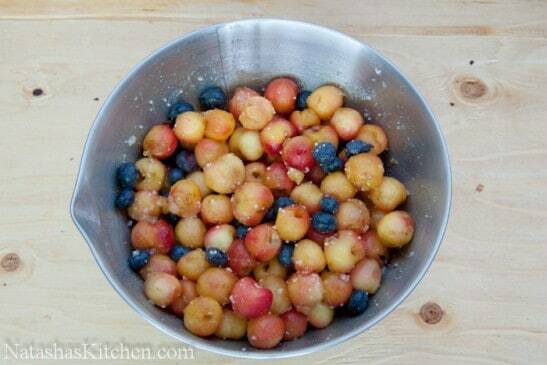 Combine 3 Tbsp of tapioca, 1/2 cup of sugar, 1 Tbsp of lemon juice, 1/4 tsp vanilla, 2 Tbsp of water and cherries. Let stand for 15 minutes. 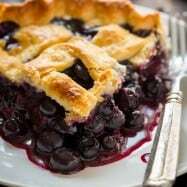 Bake Cherry pie for 30 minutes at 425°F. 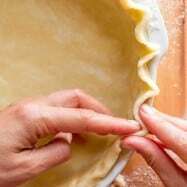 Place a cookie sheet under the pie, REDUCE HEAT to 350°F. 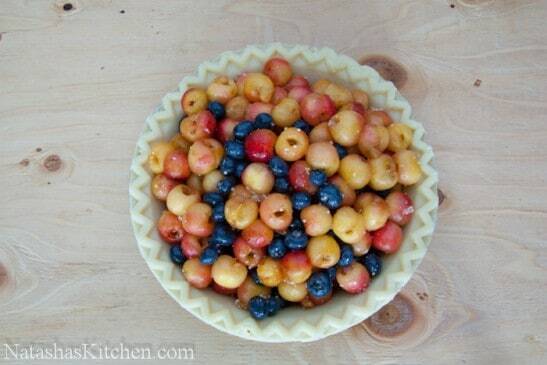 Bake 25-35 minutes, or until thick juices bubble out of the pie. Let cool for at least half an hour and serve. 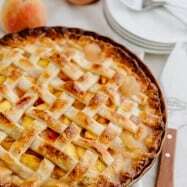 Pie can be stored at room temperature up to 1 day. 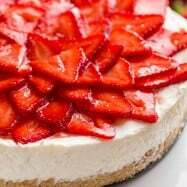 Hi Natasha, I am a novice baker and I have a question about the crust thawing. The crust that goes on top I was thawing on a plate and it totally fell apart when I tried to put it over the bottom crust. What did I do wrong?